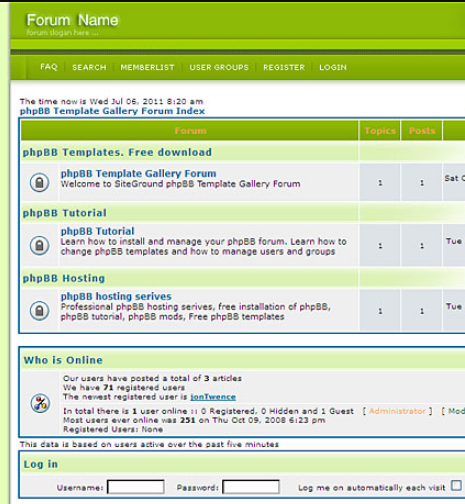 phpBB is free software to create online forum with great collection of extensions and styles / templates. phpBB is an abbreviation of PHP Bulletin Board, it’s really great platform to build a small to big forum website with any topic / niche. 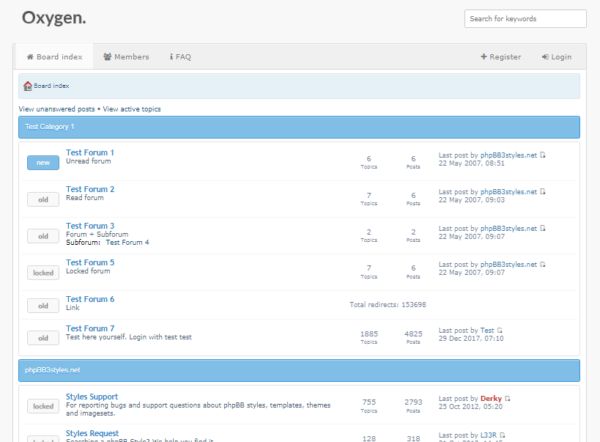 If you have a plan to create a forum using phpBB then you need a great style or template for your forum interface. 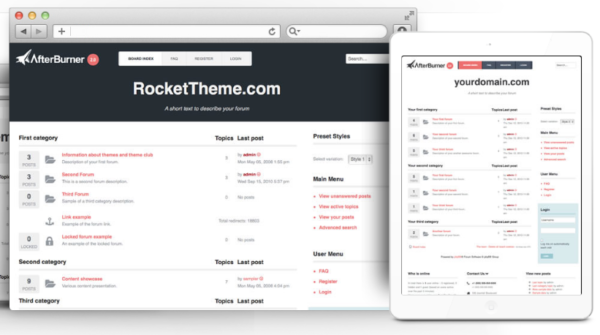 To help you find the best one, here we present free and premium php forum template for you. 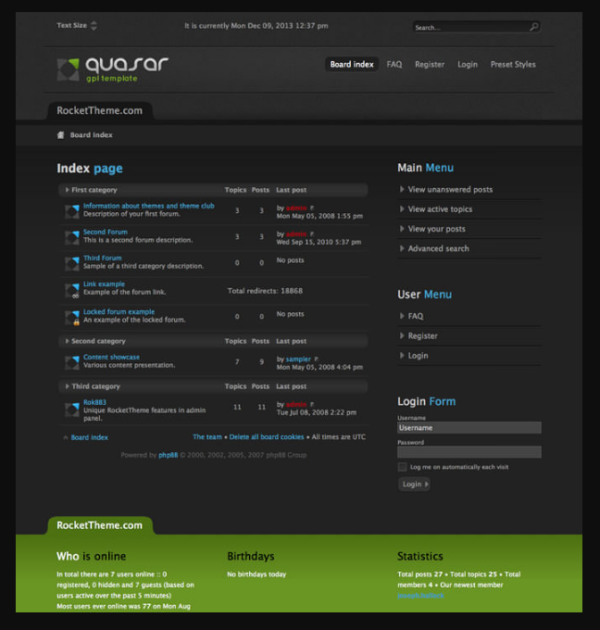 All of these forum template are fully responsive, well-designed and built in extensive template panel. Pick the best one and customize the color and appearance to match your niche. 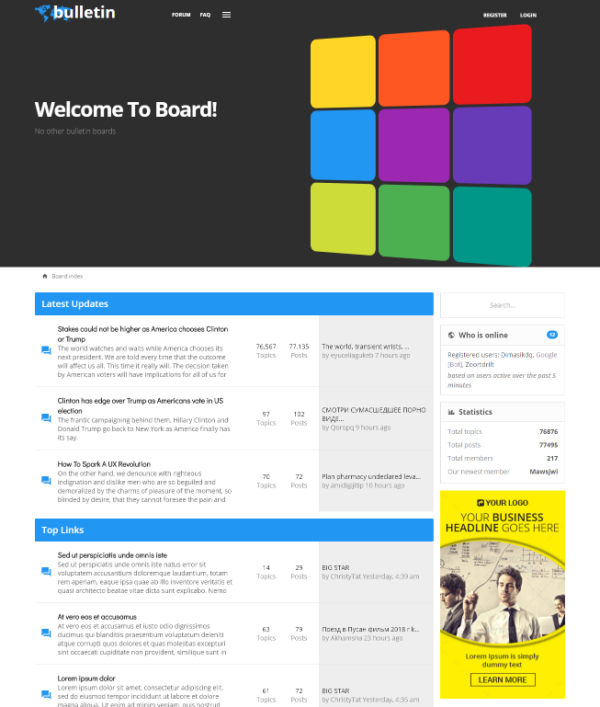 Afterburner is responsive template for phpBB forum software, it’s built in responsive grid system which designed for desktops, tablets and mobiles. 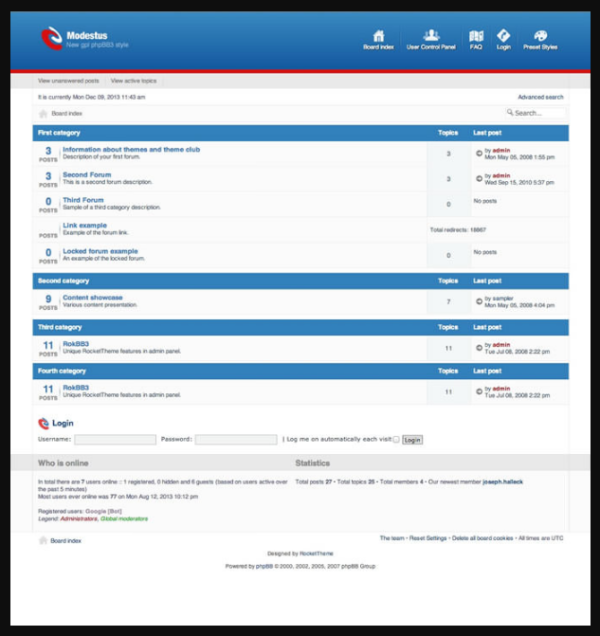 Quasar is a free phpBB style variations for multipurpose forum website. Built in extensive administrative control over the styles and module allocations. Flatboots is unique and powerful feature, easy to use, cutting-edge, simply the best and the most flexible phpBB3 theme. 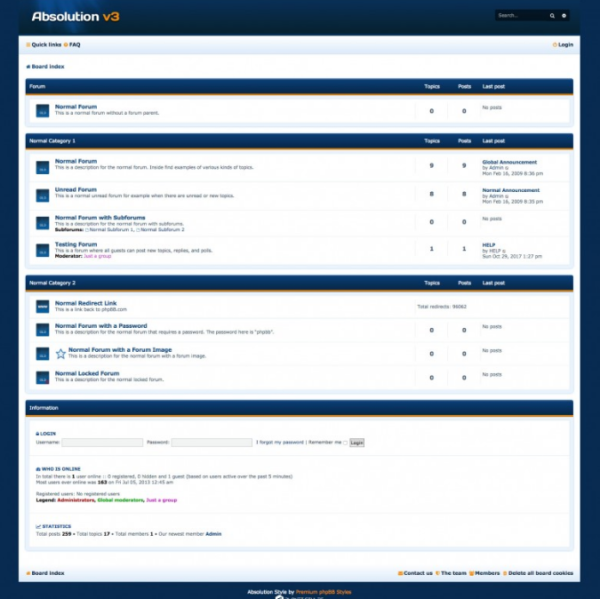 Absolution is simple blue and orange free responsive phpBB3 style. Clean layout with collapsible categories. 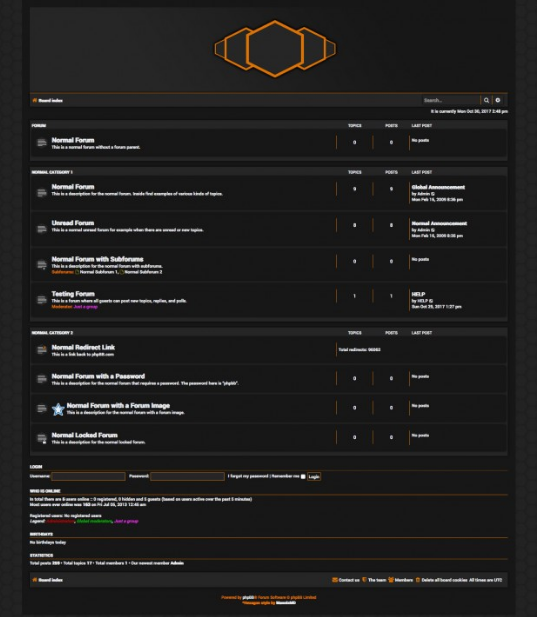 Grunge is free Forum templates for phpbb, outfitted with a sophisticated, artistic and professional design. Grunge has rich visuals throughout, from board categories, post forms to module style, to provide a unique and enriching experience. Ravaio is responsive phpBB design with a lot of customization options available without any coding knowledge. 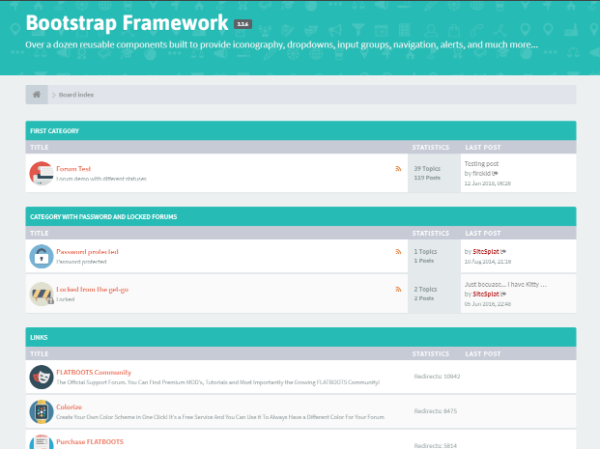 Customize theme colors, add items to your menus, sidebar, change overall layout just with few clicks. 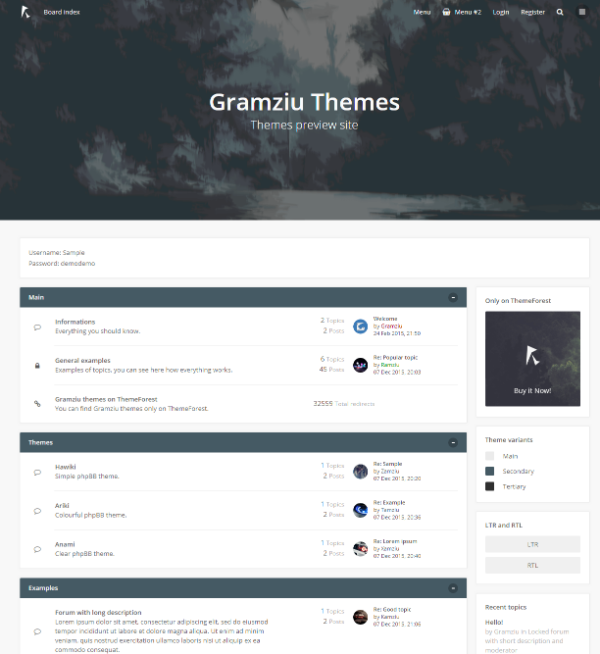 GreenEyes is a free phpBB theme designed by SiteGround. 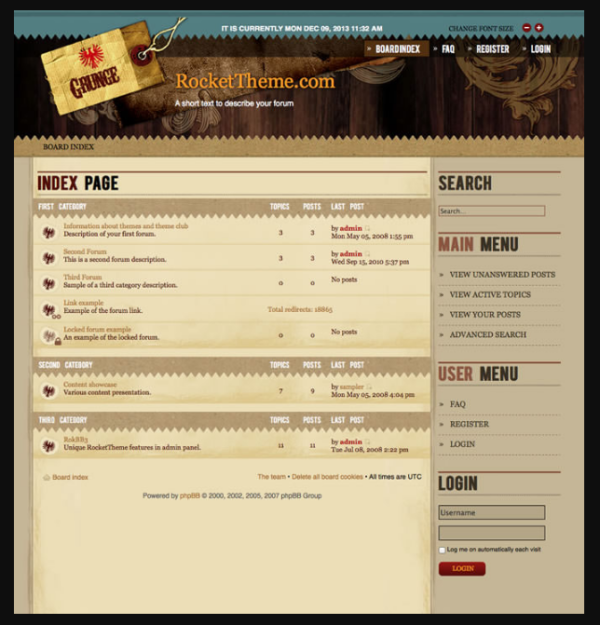 This theme feature simple and clean layout design. 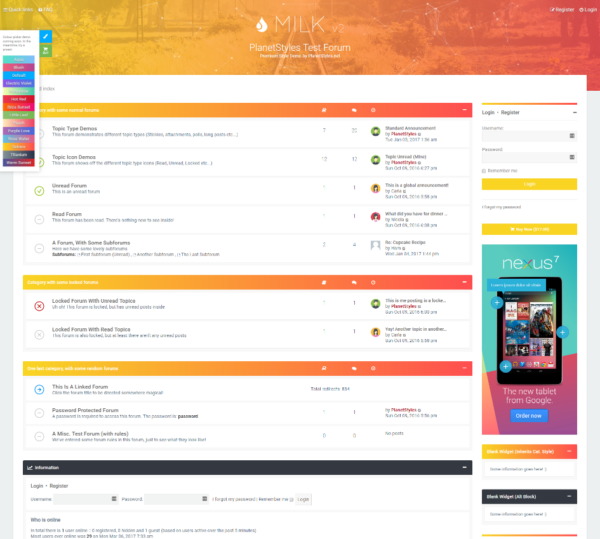 Milk is a modern responsive style for phpBB 3.x. It’s clean & simple design, customisable Footer / header, fixed or boxed layout and advance control panel. Modestus is fast and elegant phpBB3 style and it’s completely free. With Modestus, we combined speed and simplicity, with some of the powerful configuration options. 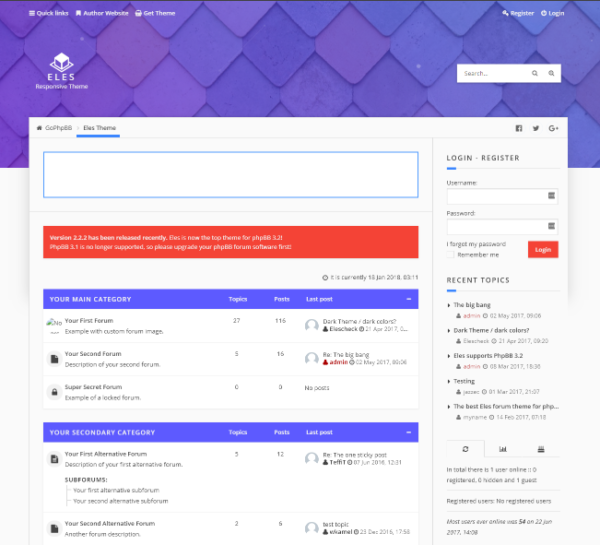 Eles is a professional, flexible, fully-responsive forum theme for phpBB, It’s comes with advanced customization features. Hexagon is dark black and orange pro silver based style, inspired by material design. It’s clean, modern and mobile friendly responsive theme. 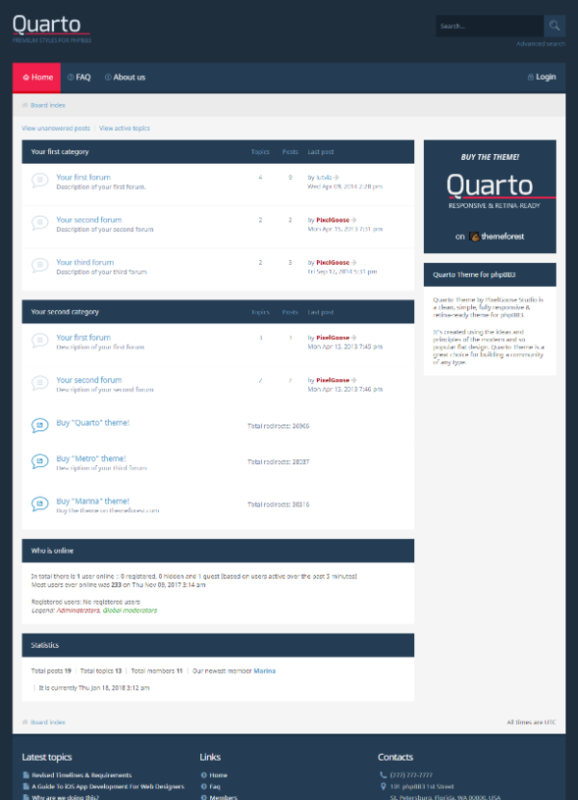 Quarto phpBB theme come with clean and simple style that fully supports the latest phpBB3 community software.It’s fully responsive and retina-ready.